This time of year, the many horse chestnut trees of England produce beautiful nut brown seeds, which for a short period become currency among the young. Yes, you can play conkers, but I just like the thrill of acquisition. We’d collected a few today, and I wondered what to do with them. So I made a crown. Well, more of a tiara. 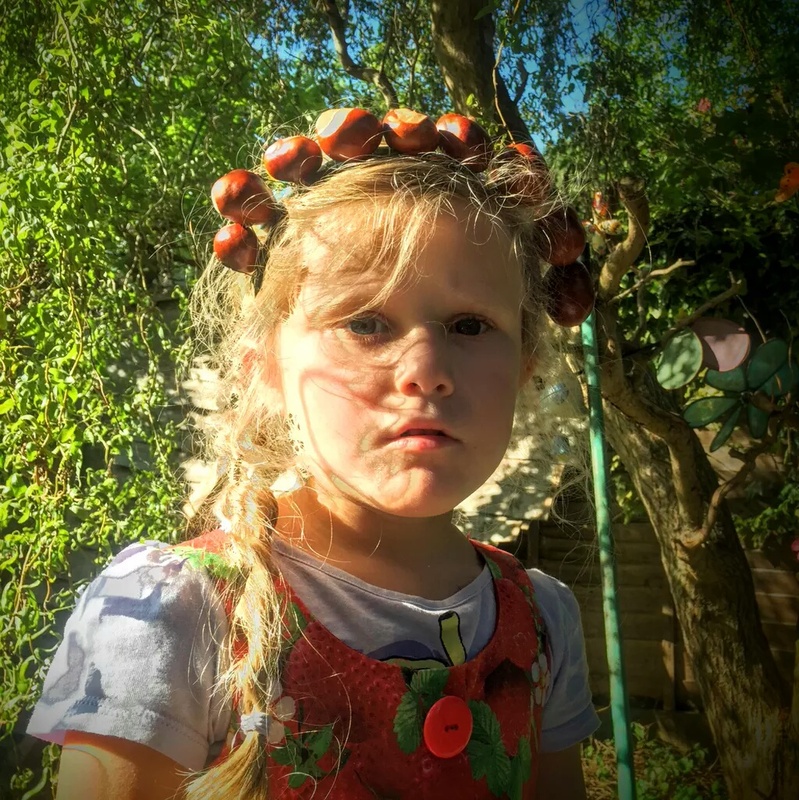 I used an old hair band, florist wire and drilled holes in the conkers, wrapping the wire round the hair band between each conker. Cute, autumnal and very heavy (it’s really just for show! ).